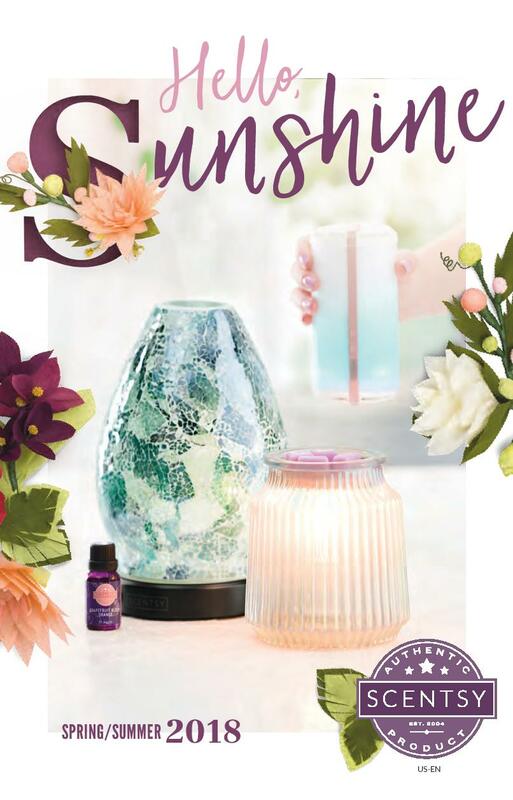 Introducing Scentsy Essential Oils, Essential Oil Blends & 100% Natural Oils, a beautiful way to infuse your space with artisanal, natural fragrance. There are a lot of 100 percent Therapeutic Grade Essential Oils of anyone who wants to experience a relaxing natural fragrance. Want to be put added to my list? See pre-order form below. What is an essential oil? Essential oils are aromatic oils extracted physically (typically using steam distillation or expression) from naturallyoccurring plant substances such as citrus peel or pulp, leaves, stems, flowers, bark, roots and other plant parts. What is a natural oil? Natural oils are either created from a natural source or single molecules are extracted from an essential oil or naturally-occurring oil. To create natural oil from a natural source, two or more isolated molecules may be combined together or combined with naturally-occurring enzymes to create a new molecule. While this new molecule may not be found in nature, only natural ingredients are used to create it. What is the difference between Scentsy Essential Oils, Essential Oil Blends and 100% Natural Oils? 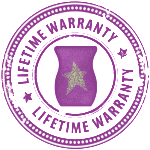 Scentsy Essential Oils consist of a single essential oil. Scentsy Essential Oil Blends are blends of two or more essential oils. Scentsy 100% Natural Oils are blends of two or more natural and essential oils. All Scentsy Oils are 100 percent natural and naturally-derived; no synthetic ingredients are used. Will existing Scentsy Bar fragrances be offered in the future? The Scentsy Diffuser is an entirely new way to experience fragrance, so at launch, we wanted to introduce entirely separate fragrances. We may consider extending our Scentsy Oil fragrances to include Scentsy Bar fragrances in the future. Does the character of natural and essential oils fluctuate over time? Yes. Natural and essential oils are subject to character (odor and color) variations caused by environmental factors such as flooding, drought and changing weather cycles. Though we profile our natural and essential oils and have established an acceptable range of variance, minor variances in the character of an essential oil or oil blend may be detectable from time to time. 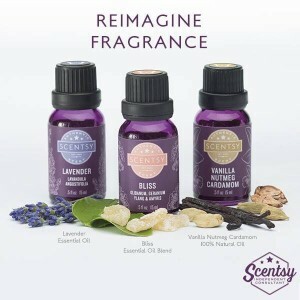 Why isn’t pricing consistent for all Scentsy Oils or within the same category (Essential Oils, Essential Oil Blends and Natural and Essential Oil Blends)? Because our natural and essential oils are derived from 100 percent natural ingredients, they are subject to pricing fluctuations due to weather, ease or difficulty of extraction, availability and plant yields. For example, lavender is easily renewable, produces high yields and can be sourced from different producers or locations. In contrast, sandalwood is substantially more expensive because it takes longer to produce, is only found in certain parts of southeast Asia and the Pacific Islands, yields less oil and is more difficult to extract. Despite market fluctuations, we will not adjust prices to reflect market costs during a catalog cycle. Will Scentsy Oils be available in a Combine & Save? No. Fluctuations in market prices of raw ingredients mean we cannot offer Scentsy Oils at a uniform discount. Can I ingest Scentsy Oils or use them topically? No. The FDA does not approve or recommend ingesting or topically applying any essential oil. Though many essential oils are on the FDA Generally Recognized as Safe (GRAS) list and all Scentsy Oils are safe and meet all Research Institute for Fragrance Materials (RIFM) standards as diffuser oils, Scentsy Oils are not intended for ingestion or direct skin applications. What is aromatherapy? Aromatherapy is a broad term for a range of therapies involving essential oils, including baths, massage and other treatments whereby the oils are absorbed through the skin or inhaled. Aromatherapy is loosely defined, and there is no consistent or standard definition. Can Scentsy Oils be used for aromatherapy? Aromatherapy generally refers to the use of aromas for therapeutic (pharmacological) purposes. Scentsy Oils are not designed to be ingested or applied topically, so they are not intended for this purpose. However, there is scientific evidence that specific scents stimulate the olfactory system – the parts of the brain connected to smell – and can induce a chemical reaction in the brain which make a person feel relaxed, calm or even stimulated. This is known as aromachology, which is the psychological or mental effect of smelling essential oils. Scentsy Oils can absolutely be used for aromachology. Are Scentsy Oils therapy-grade? “Therapy-grade” is a misleading term; there is no official entity, governmental or otherwise, that screens, evaluates or grades essential oils. In the spirit of Authenticity, we do not make any claims about our products that cannot be substantiated or verified. Will fragrances change each season like our bars? Yes. As with all our products, we will occasionally retire fragrances and introduce new scents to give you and your customers more reasons to explore fragrance. Will Scentsy Oils irritate my allergies? If you are sensitive to specific plants, diffusing oils that contain them may irritate your allergies. Fortunately, Scentsy Oils disclose all ingredients so you can evaluate their appropriateness for the health and comfort of you and your family. Do natural and essential oils expire? Since natural and essential oils are derived from 100 percent natural materials, their potency may vary over time. For best results, we recommend storing your Scentsy Oils away from extreme fluctuations in heat or light. For best results, use Scentsy Oils within two years of purchase. Can I use the oils in my warmers? No. Scentsy Oils are meant to be experienced via cold-mist diffusion only. Heating Scentsy Oils in your warmer may severely discolor the warming dish and may void the warranty. Can I add diffuser oils to my wax? We do not recommend mixing diffuser oils with wax. Scentsy Oils have not been formulated or tested for use in our warmers. Our diffuser oils are highly concentrated and intended to be used with water only. Can I use Scentsy Oils in my vaporizer or humidifier? Using Scentsy Oils or any natural or essential oils in vaporizers or humidifiers could damage or destroy the unit. The Scentsy Diffuser features a proprietary plastic designed to resist corrosion, even with the most acidic oils. Can I use Scentsy Oils in a bath, sauna or hot tub? No. Scentsy Oils are not intended to be applied topically or ingested. Scentsy Oils are only intended to be used in the Scentsy Diffuser. Will Scentsy Oils damage my furniture or surfaces? As with any fragrance oils, Scentsy Oils may damage surfaces when improperly used. Avoid prolonged contact between Scentsy Oils and surfaces. When used as directed, Scentsy fragrance oils will not damage surfaces. Are there any adulterants in the essential oils? No. Scentsy Oils do not contain adulterants or diluents to “stretch” the oils or reduce costs. Will the yearly ScenTrend be incorporated in this product? At launch, we will not include ScenTrend in our Scentsy Oils line. Are any oils certified organic? Scentsy Oils are not certified organic. If the oils are not organic, are they tested for pesticides and impurities? Conventional materials are not tested for pesticides. However, our essential oils are tested on a gas chromatography mass spectrometer (GCMS) to ensure there are no impurities which will affect the fragrance quality. Are there any oil mixture recommendations? We haven’t made any recommendations for mixing oils, but you’re welcome to experiment to create new fragrance combinations. I am always available to chat on Facebook! I would love to chat with you, send me a friend request at https://www.facebook.com/barbara.volkema and I’ll respond right away. I am now accepting PRE-ORDERS for our Diffusers and Essential Oils you can order online September 1st, 2015! Please take a moment to fill out the form below with your pre-order request, and I will be in touch with you to finalize the details! 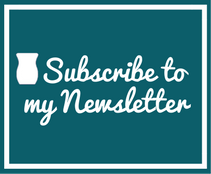 This entry was posted in 2015, Aromatherapy, Essential Oils, Natural Oils and tagged 100% Natural Oils, aromatic, botanicals, Buy Scentsy® Online, Diffusser, Essential Oils, Fragrance Oils, Natural Oils, Scentsy Oils, Steam distilled oils, What are Essential Oils?. Bookmark the permalink.